It takes a lot of courage to design, program, and release a game with an intentionally crude and simplistic art style, but when you’re basing it off a browser game from 2003, that’s just what you’ve got to do. 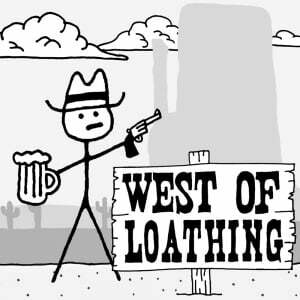 West of Loathing is an almost entirely monochrome stick figure RPG that hides not only technical depth, but an immeasurable amount of charm, whimsy, and superb writing. First impressions are always important, and the first impressions you’ll find here are unforgettable. As you wander around your parents’ house you’ll be interacting with bookcases, pets, family members, and if you’re persistent enough, you’ll find some Meat (the game’s primary currency), XP, and most importantly, a book which provides you with a perk that makes your character ‘walk’ in a random assortment of ludicrous and impractical ways. Does this affect the game in any way at all? Absolutely not, but it’s the perfect way to set you up for what the rest of your time will entail. 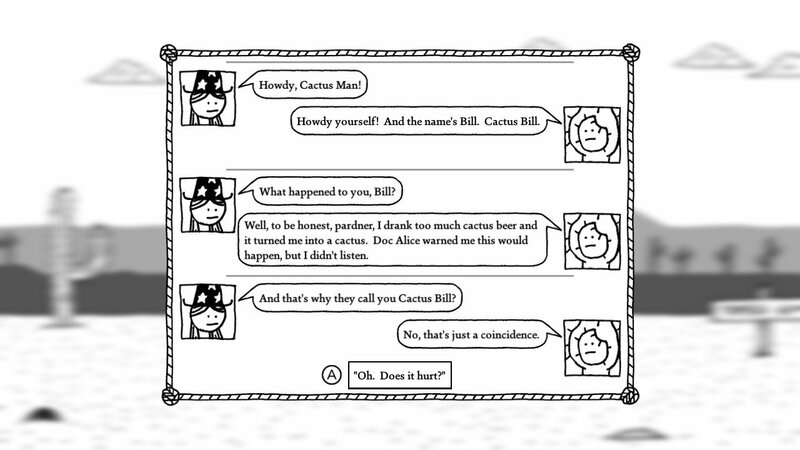 In terms of typical gameplay, West of Loathing is arguably light. There is a turn-based combat system that is affected by your choice of the three classes, namely Beanslinger, Cow Puncher, and Snake Oiler. Your stats are also affected by various Food, Booze, and Potions you consume each day, and your Stomach, Liver, and Spleen (?!) counters can be raised in turn to allow you to consume more. This is a system that is easily overlooked but is absolutely vital to getting the most out of each encounter and battle, as your stats, perks, and abilities are also vital for interactions outside of battle, as well. The combat system itself is interesting enough, with novel mechanics and easy to learn nuances, but on the whole, the main bulk of the game takes place outside of this in simply exploring, interacting with characters and objects, completing side quests, and reading lines and lines and lines of text. As previously alluded to, the writing is beyond excellent. Every instance is packed full of so much irreverent and dry humour to the point that it’s totally and utterly inescapable; if you’re not a fan of laughing, you’d better steer well clear. Various moments even caused us to laugh quite literally out loud, despite being totally alone and with the windows open, disturbing passers-by. Whether it’s a grotesquely detailed description of you plunging your hand into a rotten spittoon or receiving a boost to your armour skill called ‘Mostly Scabs’ because you’ve walked into too many cacti, you’d have to be dead inside not to enjoy the humour this game throws at you. You could argue that what you’re playing is a text adventure, given the sheer amount of written wordage on screen, but that feels unfair. There are plenty of graphics to chew on, and although they’re simple, there's a distinct charm to them that couldn’t be easily recreated by an amateur 'just' drawing stick figures. They’re simple, but there’s been a lot of thought pumped into each design to give consistency and an intentional crudeness. You may also feel you’re missing out on certain outcomes and possibilities when playing, and to put it bluntly, you are. Replayability is the order of the day, and to only play this through once is to only experience a fraction of the experience. There are 'moral' choices, the previously mentioned classes, what could be classed as a hidden fourth class if you’re especially dedicated, a selection of companions to choose from, different horses to select, and a wealth of other small factors that tailor your experience each time. You can even indulge yourself in the somewhat-hidden Hard Mode, which forces you to wear a single hat for the entire duration of the game, and unsurprisingly, it makes everything harder. We foolishly did this on our first playthrough and we can attest that you really shouldn’t, because it's one hell of a challenge. 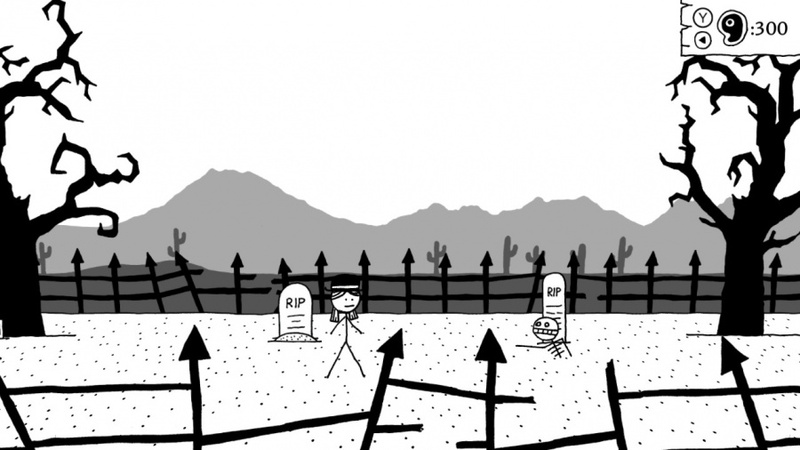 West of Loathing is not your average RPG; in fact we’d go so far as to say you’ve probably never played anything quite like it in your life. Its combat won’t blow you away but don’t be lulled into believing that’s what this game is about, as really the whole thing is an adventure in exploration and interaction with a bit of fighting sprinkled in. It can occasionally be a little bit difficult to decipher, but the satisfaction felt upon working out a problem totally makes up for it. The humour is as wonderfully dry as the desert you’re traversing and the writing is some of the best you can find on the Switch. Unless you’ve not got a humorous bone in your body, this is one RPG you can’t risk skipping. One game kinda on my radar but not really just got bumped up the radar! These type of games need to be supported. I cannot play a stuff like that even it's potentially good. My wife used to play Kingdom of Loathing, so it’s really cool to see these dudes make a new game. I gotta play this. but is it an octopath replacer ? God finally you get around to this gem! The quantity of english writing is slightly to invasive for my poor english skills. Really enjoyed this one, it's certainly deserving of the score. I really didn't like the look of the game at first but am warming to it. Think I'll check this one out at some point. This is one of the best games on the switch. I am quite impressed with the art style considering that the deceptively simplistic visuals could easily clash rather horribly. I am still waiting for the (semi) announced physical edition. Got it when it was launched and have no regrets. I am also a 13-year veteran if KoL as well so I knew what I was getting into ans was surprised to see it exceed expectations. Love it and can’t wait for Desolate Lonesome Coast. The graphics reminds me as what I used to do when I was 5. Draw my own story on a whiteboard. Why did this review take so long to post?The have been out for over a month I believe. Given what I know about KoL, no surprise this is an amazingly written game. The graphics on the site themselves have a level of professionalism to them as well (mostly) despite their crude nature, so I get what they're talking about in the game. Was waiting for this review, it's been out since end of May i think. I added this to my wishlist, I'll definitely pick it up when there's a sale. @TossedLlama Not even a little bit, but it is a fine game in its own right worth digging into when you have the time. I love this game. 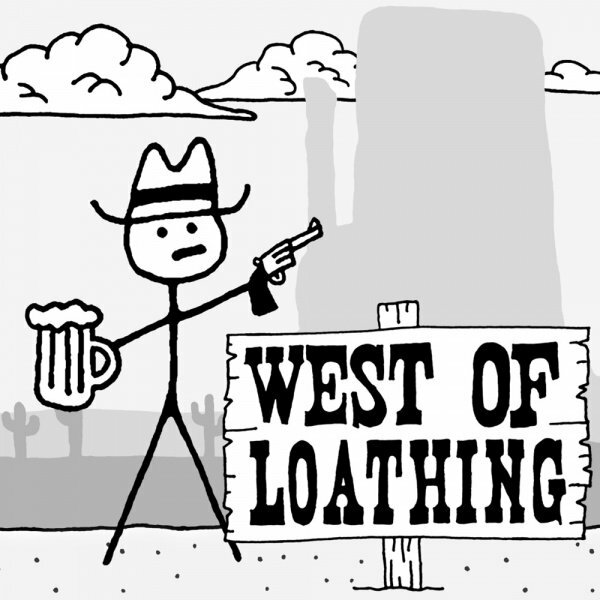 To be fair, after something like 10 years of Kingdom of Loathing, I feel obligated to like this game. But as always, Asymetric's writing is fantastic, and the fact that I'm finally enjoying their work on a console is wonderful. The spittoons alone are worth the price of entry. 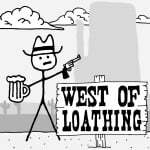 I loved Kingdom of Loathing back in the day. One of these days I'll need to pick this up ... just as soon as I dig my way out of RPG Backlog Hell. I do a 5-dayer, but I'm gone 19 of 24 hours of each work day, so I can relate on trying to steal game time! It sounds like a game right up my alley, despite the aesthetic. But like someone already mentioned, it reminds me of what I used to draw when I was a tot. Maybe one day. This game is fantastic. I’ve put a good 10 hours in and plan to play through as a different class. I’m more confused as to how it took so long to review this game seeing as how it came out in May. This game is hilarious. I've played many "funny" games over the many years I've been a gamer, but this is the first one (since Kingdom of Loathing, I guess) that's spoken to my sense of humo(u)r so directly. From the moment I got that first "Stupid Walking" perk, I was hooked. The quality and the cleverness of the wordplay just takes it all to a whole 'nother level. @Mamabear Better late than never! You aren't playing this right if you don't have the silly walk perk on at all times. Is it approved by the Ministry of Silly Walks? Now I have to go watch Monty Python. @Cobalt Honestly the game is spectacular. The visuals were what put me off buying it for the longest time, but boy oh boy is it great. Like I said, the "art" style put a wall between me and the Switch ! Even if the game is good, I can't, really I can't ! @Cobalt The visuals alone are what got me to buy it, had an incredibly experience. @DrJiggle True true... I was waiting for a review before buying it. I held off a lengthy 2 days before taking the plunge. Just looked like fun. @Cobalt Fair. I was the same with Fire Emblem Awakening-- the lack of feet was really that bad to me. I never understood how it is possible to have characters without feet. It's like during the development, a guy came during a meeting and said to the others : "hey guys, I have a genius idea, let's take off the characters feet"
And the guys of the team to reply : " yayyyy, that's a phenomenal idea !!! You're a genius man !"